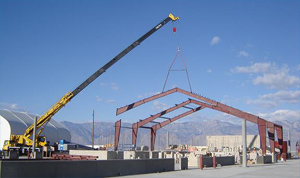 For over 30 years, KDG Construction Consulting has provided construction and program management services for a variety of projects throughout California, spanning the aviation, utilities and affordable housing sectors. From concept to completion, we manage all aspects of the construction process. Since its inception, KDG has developed and refined methods and procedures to efficiently control time, cost and quality on behalf of a large list of public and institutional owners. KDG operates as both a prime consultant and a sub consultant to other lead firms. We have developed a keen, firsthand understanding of the unique demands of each role. The firm greatly values the relationships it has built over the years, whether operating as a project lead working directly with owners, or as a subconsultant supporting the efforts of other firms on major construction projects. As a prime or project lead, KDG staff handle everything from resident engineering, scheduling, document controls, cost estimating, office engineering, field engineering, safety and inspection. We have assumed the lead role on construction management projects for several high-profile clients in the public and institutional sectors, including Los Angeles World Airports (LAWA), the Los Angeles Department of Water & Power (LADWP) and Nevada Energy.